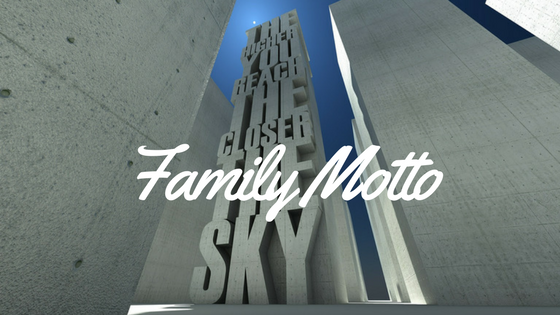 Family Motto – Do You Have One? Always tell the truth – so you don’t have to remember what you said! Expect the best – prepare for the worst! Often wrong, but never in doubt! If you don’t think it can be done, you haven’t thought long enough! If Mama ain’t happen – ain’t nobody happy! No trips to the emergency room! It will all come out in the wash! Now can you think of a motto passed down in you family? They seem trite, but the very repetition deepens their strength subconsciously. Though many of our family mottos may be a little quirky, these biblical ones are enduring and release life, authority and power over us and our families (natural and spiritual). Biblical mottos for life reinforce godly values and perspectives. They clarify direction and purpose. They have rubber-meeting-the-road impact! It takes little effort to expand on this list. I’m sure there are many you can add from your own experience. Maybe it is time to establish a new family motto. What will you choose? principles of virtue and strength. paying attention and truly hearing what You say. my life, family and those I come in contact with. Want more to read? Try these! ← When Life Begins is Up to You – Today you Choose!